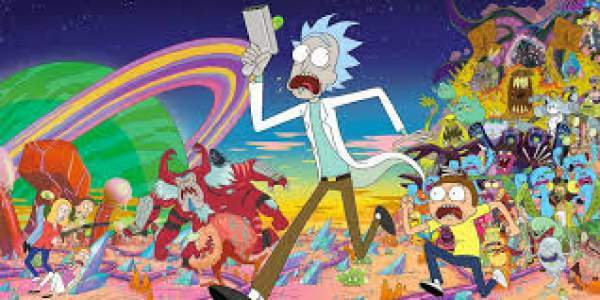 Rick and Morty Season 3 Release Date: The season 3 of ‘Rick and Morty’ was announced to premiere last year, but Dan Harmon and Justin Roiland could not make it. The former said that they have encountered several issues while working on the upcoming series. Dan Harmon said that their fighting and slow writing is the reason for the delay of “Rick and Morty” 3rd season. “Here’s how cartoons work. First, you write them, and then you draw them for a really long time. Everything needs to be on paper. So you can see it,” Dan Harmon said about the next installment in an interview. “So if all I do is writing it and then put it on TV it will look like a script, instead of the series, which you seem to like.” Because of this fans have to wait for the next installment. Harmon said about the long delay between seasons. He said, “I’m so sorry.” Harmon further said to the audience “I don’t have a release date for season 3. It’s not that I know it and I’m not allowed to say it; what I will tell you is that it’s late because of us, it’s late because of me”. Episodes in New installment: At a Magic City Comic Con panel, Harmon stated that the upcoming season would be having a total of 14 episodes. Segment 1 ran for 11 episodes, while installment 2 was cut down to 10. Check: The Bachelor Season 21 Week 8 Spoilers. RnM s3 writers Sarah Carbiener and Erica Rosbe said that the upcoming installment has already been written. RnM writers also revealed stated that episodes were completed on Sept. 28th. The team is now waiting for the animation team to finish their work. Segment 3 voiceover work has finally begun. Release Date: The second installment of the popular animated series released on July 26, 2015. So, the installment three might also be released in the same month this year. The season 3 of popular series is likely to be released on June 26, 2017. UPDATE: It released on April 1, 2017. However, there has been a long delay for the episode 2. The Opening scene for the segment 3 has been revealed by Adult Swim Australia to promote the upcoming season. The opening scene excited all the fans a lot which was uploaded by Adult Swim. Although there is the absence of audio and also the music is minimal. Creators Dan Harmon and Justin Roiland also came up with an exclusive new clip from installment 3. The tiny forty-second video is hit on the internet. The short clip is that it is very hilarious. The Producers mocked fans with a cancellation tweet, but the show is coming for sure. The wait is killing fans.